Mark Falkin is this week’s guest on Writing on the Air. 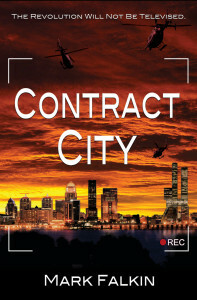 He’ll talk with us about his new novel, CONTRACT CITY (Bancroft Press, 2015). Our program airs Wednesdays from 6-7 pm CST on Austin’s 91.7FM KOOP. Sure, we’re in Austin, but you don’t have to be to hear us live. Just click “Listen Here” above, or visit KOOP.org and click the mini-player at the top of the page. You can also listen on TuneIn. Want to hear previous interviews? Do a search, or just scroll through the shows below. You’ll also find our podcast on iTunes. Right now is the KOOP Spring Membership Drive. 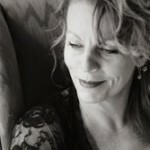 If you listen to our show and feel we provide an important service to the community by featuring writers and their craft every single week of the year, please take a second to donate to KOOP.org. It’s fast and easy! It’s because of support from listeners like you that KOOP is celebrating 20 years of service to the community. Our goal is $72,000, and you can help us to reach that by pledging online (koop.org/donate) or by phone 512-472-KOOP (5667) or toll free at 888-917-KOOP. Thank you! Now…. back to this week’s guest. 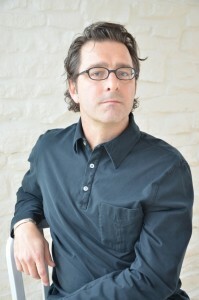 Mark Falkin was born and raised in Tulsa, Oklahoma. He is a graduate of Southern Methodist University in Dallas and the University of Oklahoma College of Law. He has lived in Texas for the last twenty years, where he is a literary agent and recovering music attorney, having represented platinum sellers and Grammy winners alike. His 2006 self-published novel, Days of Grace, was optioned for a film and nominated for The Needle Award, at POD-dy Mouth blog. 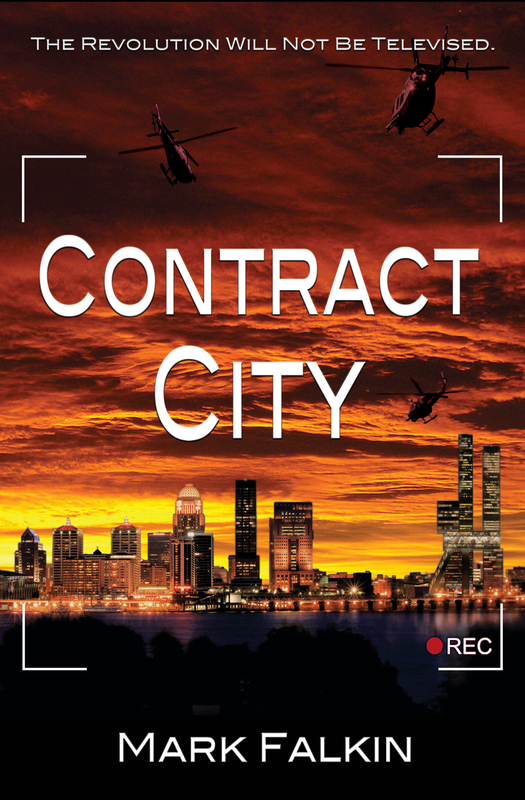 His recent book, CONTRACT CITY (Bancroft Press, 2015) is an engaging, action-filled dystopian novel about America in the not too distant future, a fascinating retelling in the darkest days in Tulsa history. a #1 Bestseller in Austin, & a 2015 Summer Reads Pick by the Austin American Statesman. Mark lives with his wife and daughters in Austin, where he reads, coaches recreational soccer, tries to find time to paddle Texas waters. He is working on his next book. For more information, please see his website, MarkFalkin.com. You can also find him on Twitter and Facebook.